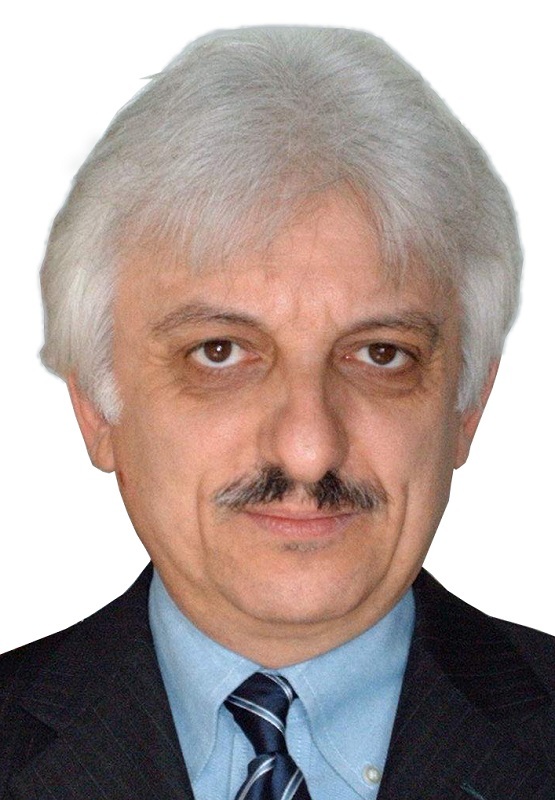 The case of Asservimenti Presse and the working philosophy that inspires the technical and sales manager Ottavio Albini convey the idea of how from the Lombard province it is possible to reach the four corners of the globe on the guidelines of technological excellence and flexibility. 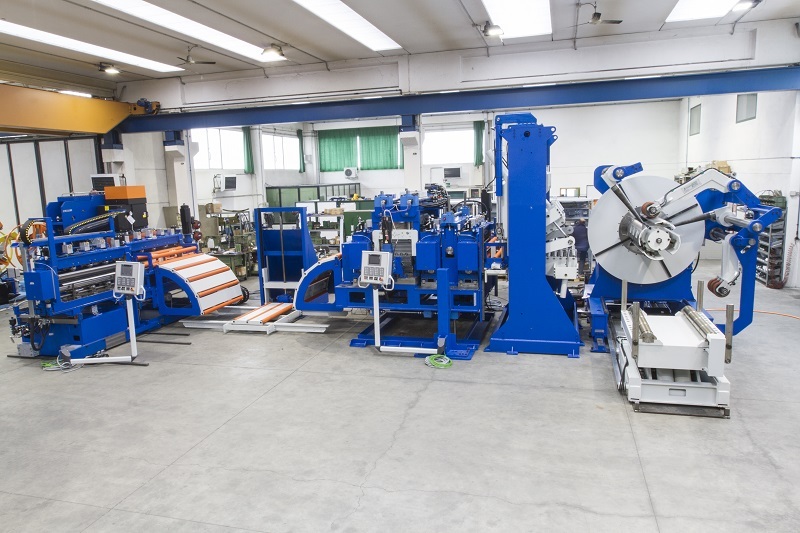 With headquarters at Massalengo, in Lodi province, Asservimenti Presse is a company specialized in the design and in the implementation of decoilers, straighteners and electronic feeders and, naturally, of turn-key automation lines. The plants in whose installation the Lodi company has contributed, or provided for, in the course of its history are more than 3,000 and they are not only spread in the old Europe but also in all other continents and strategic areas of the world manufacturing industry. From the American continent, where the Lombard brand has placed its banner in Brazil, Canada and United States, extending up to Asia where it is present in Japan and South Korea. Concerning the European market, Asservimenti Presse supplies in particular Germany, Spain and France but it boasts activities also in the nations of the former socialist bloc and in particular businesses in the Russian territory. Operating for over thirty years on the national territory, it was able to ride the wave of the made in Italy success beyond the borders and it is just to foreign markets that it nowadays owes the majority of its turnover. Heart and thinking heads remain however in the Peninsula, in virtue also of the consolidated relationship network created with local subcontractors, how the sales and technical manager Ottavio Albini pointed out: «The development of all of our machines», said Albini, «is fully managed inside the company. From the design of electrical components and of all mechanical parts up to the assembly, the final installation and the after sale service. Machining operations, together with pure steel structural works, are entrusted to our skilled subcontractors». It is clearly a wide-ranging strategy that since the beginning involves in the development phases also the increasingly complex and appreciated part of the software interfacing and management of all machines. «Thanks to the strict collaboration relationship that we establish with the technical offices of our customers», stated Albini, «we are able to propose specific solutions. Therefore, not a mere plant supply, but reliable automation solutions fully compliant with precise requisites. An approach that has allowed our company to face the complex and difficult market of the latest years with great confidence». A market increasingly oriented towards big-size plants, big thicknesses of high-strength materials. «And this implies», he added, «a constant technological upgrading that allows us to be able to interpret these needs, implementing them in reliable, flexible and performing lines, able to decoil, treat and straighten these types of materials excellently». 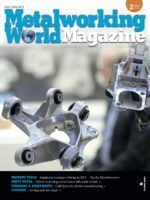 Three are the main technological branches on which Asservimenti Presse has based the development of its new products: «The sector of the machining processes on big-thickness sheet metals is steeply rising, and for this reason we are providing for brand-new lines for the automation of materials with thicknesses of 12, 15 and 18 millimetres. The second trend is instead represented by the feeding lines for servo-presses, very versatile machines and with great machining performances, which are expected to handle sheet metals with different thicknesses and widths. They are then lines characterized by extreme flexibility, with a variable width of 1,250, 1,500 and 2,000 millimetres. The third path that we are following is finally energy saving: already for some years», pointed out Albini, «we have tried to create lines able to minimize the incidence of the energy consumption through the implementation of automation solutions, with state-of-the-art motors, without those hydraulic systems that are at the source of the dispersion of huge heat quantities, just to mention some examples. It is a precise market need that we try to satisfy». There is however in the game-bag of the Massalengo specialist also a growing effort for the offer customization: «Standard products will be less and less successful», it is the opinion of Albini, «and today customers are real collaborators of the manufacturing companies. Because the plants based on modern concepts are those implemented together, in which the purchaser and the supplier share their needs and competences at the service of a single project». 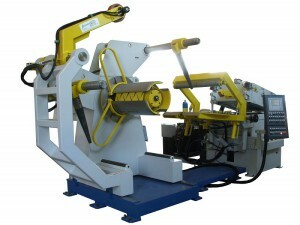 Among the outstanding characteristics of the over thirty-year success of Asservimenti Presse there is also the commitment lavished for the optimization of the line sizes, in view of the guarantee of a perfect operation irrespective of the materials and of the thicknesses that they are requested to manage. 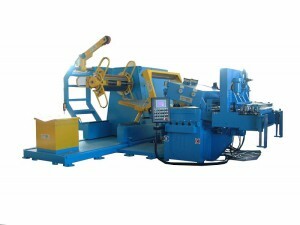 Protagonist of a job order issued by a German producer in the car industry, the company has then accomplished a servo-press plant able to machine sheet metals with the maximum width of 1,800 millimetres for thicknesses reaching 12 millimetres at 600 Newton per square millimetre. «What more matters today in a dedicated servo-press plant», commented Albini, «is the changeover rapidity, that’s to say the speed with which it is possible to execute and to finalize the machine set-up. This is the consequence of the fact that big-size batches have by now become very rare, to the detriment of medium and small size ones, nowadays in the daily agenda, which call for several changeovers from the productive point of view. Also because the market is more and more often demanding for machines like electrical presses or servo presses that are just the most suitable for frequent changeovers and it is clear that also automation systems must be fitted». The attention with which the engineer observes the developments of industry and market, trying to intercept their trends and requirements, is also witnessed also by an appeal launched just at the beginning of the current year. «We would like», this is Albini’s idea, «that Italian companies might bring innovation on the machines to be able to compete on equal terms with competitors, since we think that in many cases they own a quite outdated technological fleet. The keystone resides in prices that should be revised in order to favour a wide-ranging upgrading». Intervening drastically on price lists is certainly difficult but the solution can come from scale economies. «It is not necessary that customers join the net», said Albini, «but it is sufficient that they listen to our proposal and, even buying small machines, they can constitute a certain critical mass». While waiting, we go on innovating, as witnessed by other two installations dating back to the recent past. It is a 1,500 millimetre line able to machine thicknesses up to 12 millimetres; and another, with 1,350 millimetres of width for maximum thicknesses of 8 millimetres. In the name of the highest process flexibility, in the first case it was decided to equip the plant with two trains of straightening rollers that, depending on the operational requirements of the production batch, are automatically positioned in the process. Different axis distances and rollers able to suit at best material thicknesses that can vary, in this case of automation system, from a minimum of 1 to a maximum of 12 millimetres. 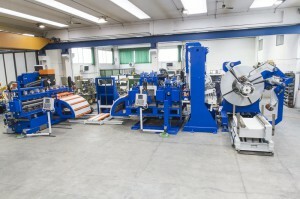 «Also for the feeding group that carries the material under the press», said Albini about this matter, «the technical office has opted for two feeders, still with the purpose of meeting the needs of managing very variable materials and thicknesses at best, with adjustments of pressure, thickness and pilot release opening automatically performed».